Processing transformer oil using GlobeCore equiment - ! Equipment for Transformer Oil Reclamation. GlobeCore. Operation of transformers is always influenced by adverse factors influencing insulation oils. Those are moisture, oxygen, heat and sunlight. The oil ages with time. Insulation fluid performance suffers, with the corresponding effect on the electrical equipment. Sludge forms in the transformer (in the windings and on the magnetic core), accelerating the aging of paper insulation and degrading the dissipation of heat. To eliminate these problems, transformer oil is processed before being filled into a transformer, and undergoes oil purification during operation. Fresh oils for oil filled transformers and high voltage switches must comply with certain requirements in terms of particulate matter, water and gas. Physical parameters of the insulation liquids are also regulated, such as dielectric strength, dissipation factor, acid number etc. If an analysis shows that contamination exceeds the required maximum, the oil must be processed. GlobeCore’s CMM-C mobile oil units are ideal for this purpose. The soft treatment of oil in these units removes particulate matter, gas and water from the oil. The units are simple and convenient in operation and can be used for transformer treatment on site due to their mobility. As was noted above, dielectric fluid becomes contaminated and oxidized during operation, reducing its performance. 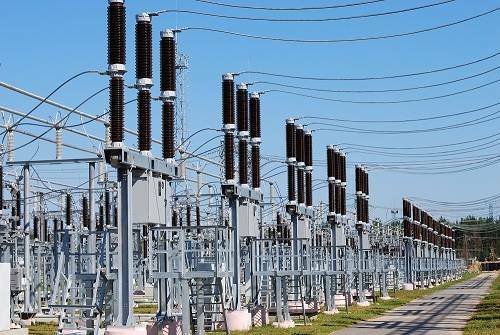 With time, the transformer oil reaches a point where it can no longer function as insulator and heat dissipater. In this case it should be replaced. However, insulation fluid life can and should be extended. This is possible with special equipment, such as the CMM-R unit. GlobeCore oil filtration technology should be used every time the acid number of the oil approaches critical level; this will extend transformer life by 20-35 years. In the process of oil reclamation, decomposition products and acidic substances are removed from the oil, it is clarified, oxidation stability is improved and gas dissolution ability is reduced. The unique feature of the CMM-R units is the ability to reclaim insulation oil inside the transformer which can be either online or offline. Onsite oil reclamation allows removing sludge from the windings and extracting it from the oil by the sorbent. Another advanced feature of the CMM-R is the use of special Fuller’s earth sorbent, with the capability of multiple reactivation inside the unit. Oil can be treated without the need to stop to replenish the sorbent. Processing oil with GlobeCore equipment improves power transmission and distribution reliability, reduces the costs of buying new and disposing of old oil as well as the environmental impact by decreasing the amount of waste oil.